Kansas coach Bill Self yells during the first half of the team's NCAA college basketball game against Michigan State at the Champions Classic on Tuesday, Nov. 6, 2018, in Indianapolis. Kansas won, 92-87. 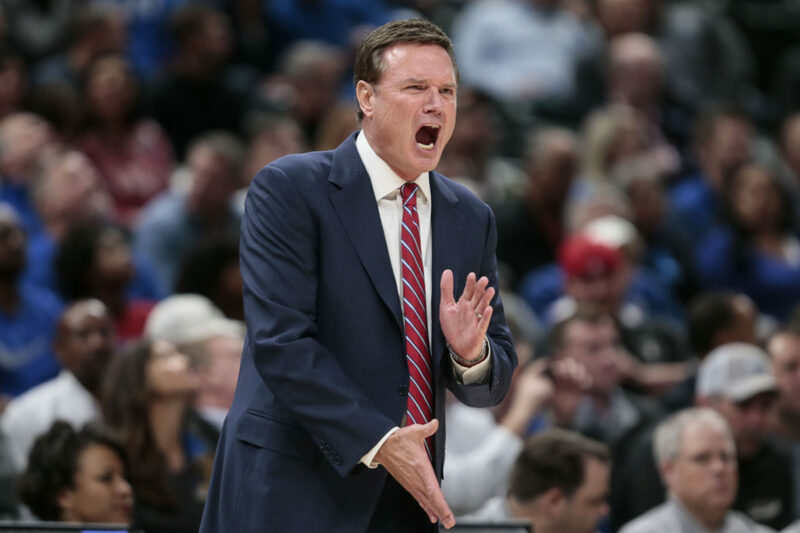 Tuesday night’s 92-87 Kansas victory over Michigan State at the Champions Classic in Indianapolis evened KU coach Bill Self’s career record against MSU coach Tom Izzo at 7-7. But there’s so much more to Self’s latest accomplishment than just moving his win total vs. Izzo from six to seven. Self now has winning streaks alive and well against four of the five other active college basketball coaches who have been inducted into the Naismith Memorial Basketball Hall of Fame. The only one to avoid Self’s propensity for streaking is Syracuse coach Jim Boeheim, and even he lost his last meeting vs. Self, last season in Miami. Counting that KU win over Boeheim and the Orange in the big picture of Self against his five Hall of Fame counterparts, the Kansas coach now in his 16th season in charge of the Jayhawks, has put himself on the winning end of every head-to-head series with the elite of the elite in college basketball — one against Boeheim’s bunch; three in a row against Mike Krzyzewski and Duke; three in a row against John Calipari and Kentucky; three more against Roy Williams and North Carolina; and two in a row over Tom Izzo’s Spartans. Self’s last loss to any of the five programs came at the hands of Izzo, whose Spartans defeated the Jayhawks, 79-73, at the Champions Classic in Chicago in 2015. During his 15-plus seasons leading Kansas, Self owns a 15-9 record against those five Hall of Fame coaches. Self and the Jayhawks will look to make it four straight over the Wildcats later this season, when KU returns to Lexington, Ky., for the Big 12-SEC Challenge on Jan. 26, 2019. Here’s a quick look back at Self and KU’s most recent victories against college basketball’s Hall of Fame coaches. Dec. 2, 2017 — Devonte’ Graham goes off for 35 points on 10-of-17 shooting, including seven 3-pointers, to lead the Jayhawks past the Orange in front of Pat Riley at American Airlines Arena in the shadows of South Beach. Last loss: 89-81 (OT) on Nov. 25, 2008, in Kansas City, Mo. – Nov. 14, 2017 — It was far from pretty, but there was a certain amount of appreciation for the way the Jayhawks battled through a bad shooting night and grinded out a victory at the Champions Classic in Chicago. – Jan. 28, 2017 — The Jayhawks’ first trip to Rupp Arena in a dozen years ended in victory, when Frank Mason III,Graham, Josh Jackson, Svi Mykhailiuk and others grabbed a hard-fought 79-73 victory in the Big 12-SEC Challenge over the likes of Malik Monk, D’Aaron Fox and Bam Adebayo. – Jan. 30, 2016 — This was the Wayne Selden game, where the KU junior scored a career-high 33 points in 44 minutes of a 90-84, overtime victory over the visiting Wildcats at Allen Fieldhouse. 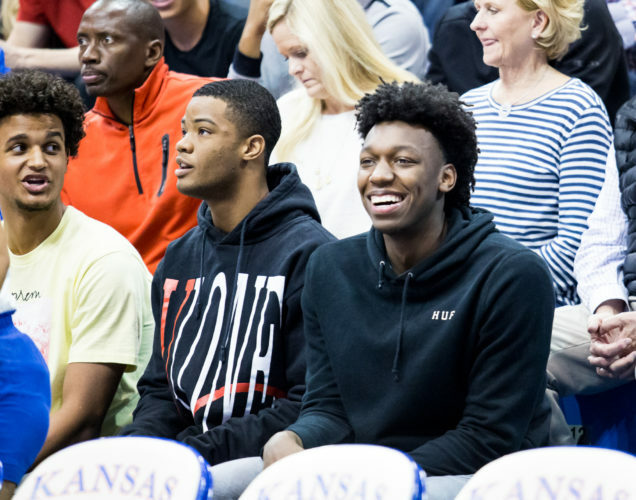 – Nov. 6, 2018 — Tuesday’s game featured four Jayhawks in double figures, including freshmen guards Quentin Grimes (21) and Devon Dotson (16). Udoka Azubuike (17) and Dedric Lawson (20) did the damage down low for the Jayhawks, who led by as many as 17 before hanging on down the stretch. 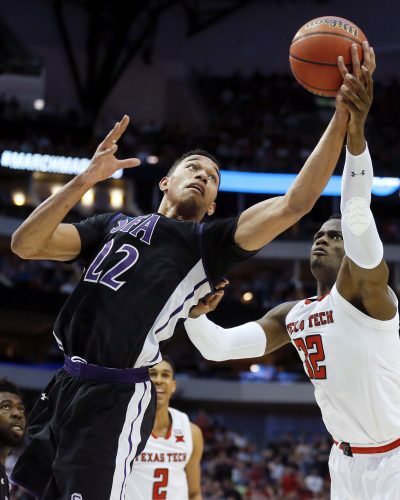 – March 19, 2017 — Top-seeded Kansas knocked off No. 9 seed Michigan State, 90-70, in the second round of the NCAA Tournament in Tulsa, Okla. Detroit native Jackson, who picked KU over MSU during his recruitment, led Kansas with 18 points and sent the Jayhawks styling into the Sweet 16. 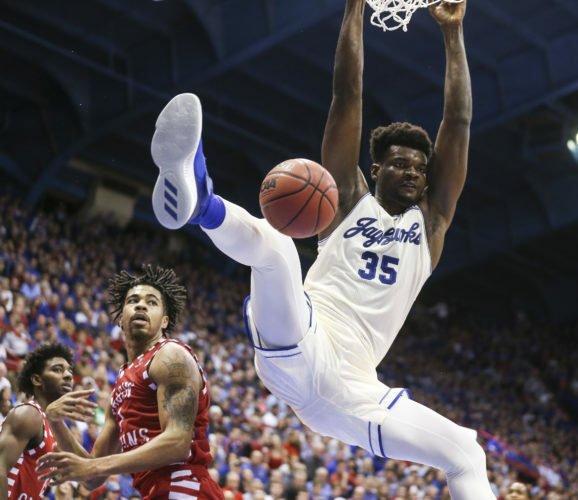 – March 25, 2018 — With a trip to the Final Four on the line, the Jayhawks and Blue Devils needed overtime to decide their most recent meeting. 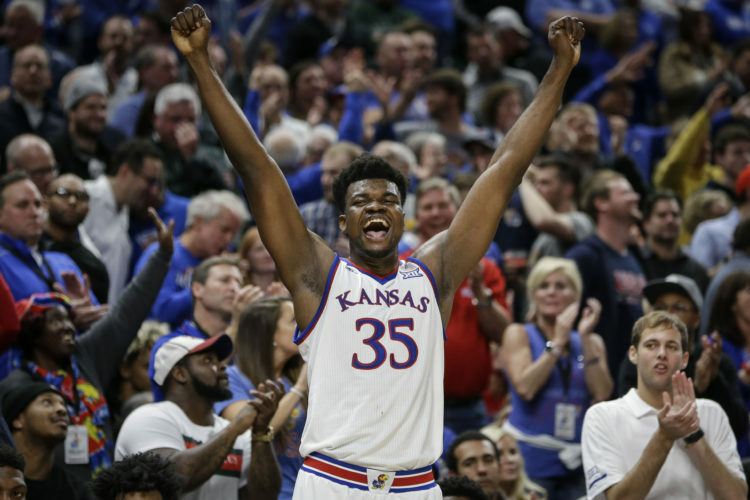 Mykhailiuk’s defense on future lottery pick Marvin Bagley was a huge storyline, but Malik Newman’s red-hot shooting led the Jayhawks down the stretch and in overtime and earned Kansas a trip to the Final Four in San Antonio. – Nov. 15, 2016 — The Frank Mason game. 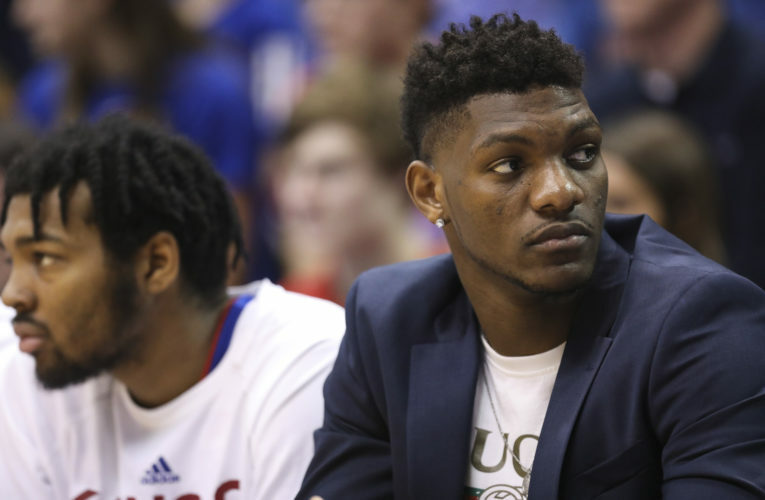 With his face plastered on the outside of Madison Square Garden, the KU point guard got his senior season off to a wild start, knocking in a jumper in the final seconds to help KU knock off No. 1 Duke, 77-75, at the Champions Classic in New York City. – Nov. 12, 2013 — Dubbed a Champions Classic battle between potential No. 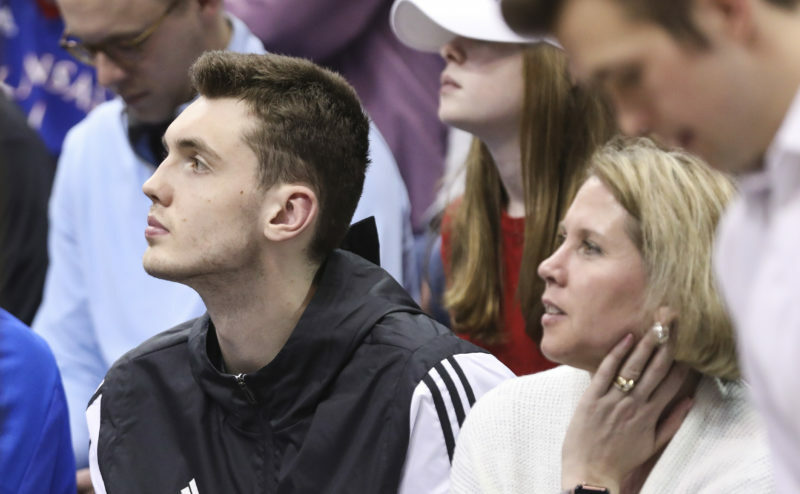 1 overall picks Andrew Wiggins, of Kansas, and Jabari Parker, of Duke, the Jayhawks picked up their first victory in three tries at the early-season showcase via a 94-83 win at the United Center in Chicago. – March 24, 2013 — One of the more forgettable, KU-Carolina matchups came in the second round of the NCAA Tournament just down the road in Kansas City, Mo., where top-seeded KU knocked off No. 8 seed North Carolina, 70-58, despite trailing by nine points at halftime. Kansas City native Travis Releford exploded for 22 points and eight rebounds and KU big man Jeff Withey added 16 points and 16 rebounds to push KU into the Sweet 16. – March 25, 2012 — With a spot in the Final Four on the line in St. Louis, Thomas Robinson, Tyshawn Taylor and Withey led the Jayhawks to an 80-67 win over a UNC team missing point guard Kendall Marshall. The second-seeded Jayhawks held top-seeded Carolina scoreless over the final 3:58, blowing open a tightly contested game that carried the weight of the world with every basket. – April 5, 2008 — The first meeting between Kansas and North Carolina since Williams’ departure five years earlier was dominated by a KU team that went on to win the national title. Facing the Tar Heels at the Final Four in San Antonio, KU built a 40-12 lead and never looked back en route to knocking off Memphis two nights later for the program’s first NCAA title in 20 years.